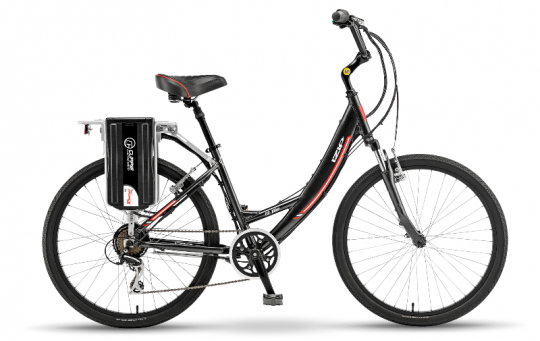 You are here: Home / Electric Bike News / New 2014 Haibike, eFlow, & IZIP E Bikes from Currie Tech. Lots of Pictures! 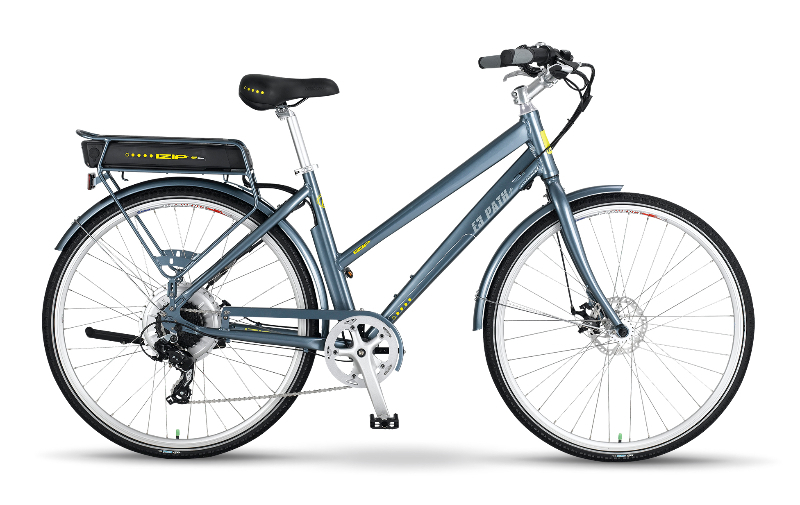 For 2014 Currie is expanding its offerings with additional eFlow and IZIP performance oriented models, and will be the exclusive North American distributor for Germany’s Haibike Xduro line of e-bikes. Currie recently gave a sneak peek of all three lines last month at DealerCamp, where retailers – and consumers on the last day – where able to ride some of the models. 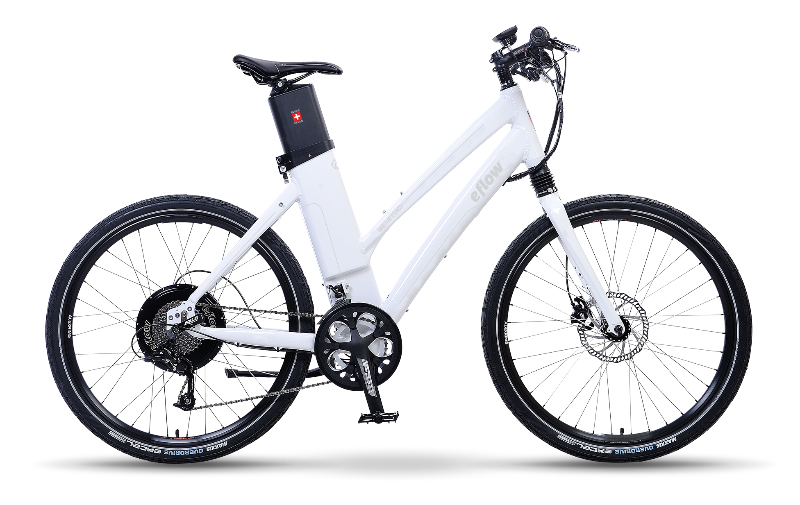 Germany-based Haibike’s Xduro line of pedal assist-only e-bikes features both hardtail and dual suspension frames spec’d with high-end components and powered by Bosch’s new “Performance Line” mid-motor drive system optimized for the U.S. standard of 20 mph (32km/h). 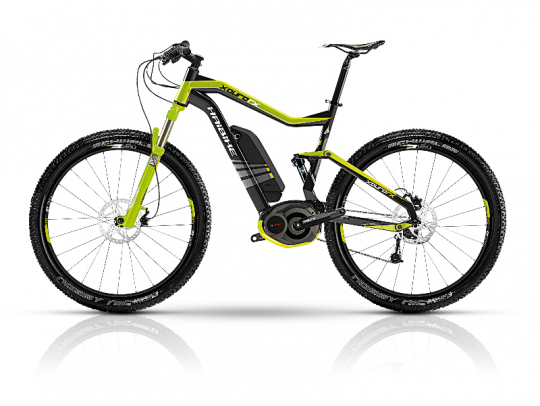 In Europe, Haibike offers 37 different off- and on-road e-bikes, including a drop-bar road race bike. In North America, Currie will carry five Xduro models: the RX 29” hardtail (MSRP $4,000), the 120mm full suspension cross country-focused FS RX 27.5” (MSRP $4,900), a 150mm full suspension Shimano XT/SLX spec’d all-mountain rig called the AMT RX 27.5” (MSRP $5,500), the 150mm SRAM X01 spec’d AMT Pro (MSRP $7,800), and a flatbar 700c performance road bike called the Superrace (MSRP $7,800). Each Xduro frame consists of hydro-formed aluminum tubes and a new-for-2014 gravity cast bottom bracket, where the Bosch torque-sensing mid-motor drive system is housed. The new casting protects the motor and results in a lighter frame. Benefits of locating the motor in the bottom bracket include low center of gravity, power transmission through the chain to the rear wheel at higher and constant rotation speeds, which results in lower operating temperatures, and allows front and rear suspension to operate normally. 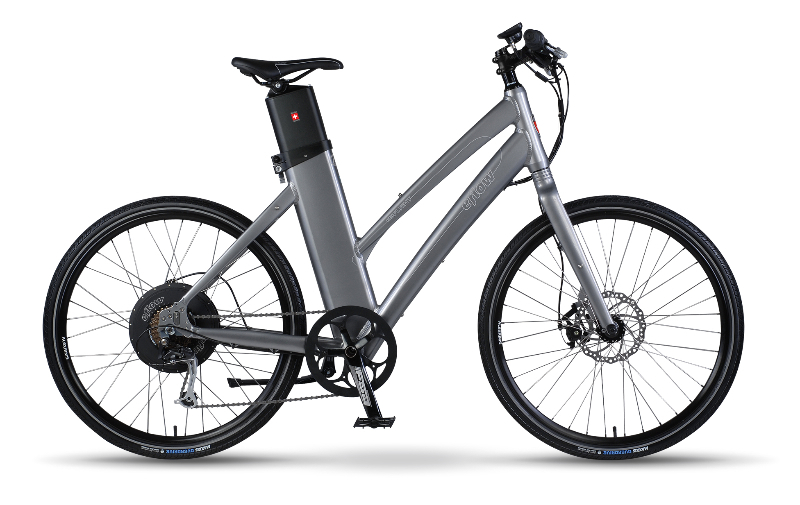 The new Bosch System for the U.S. market is more powerful than offered in Europe (350 watts vs. 250 watts) and has a faster top assisted speed then its European counterparts (20 mph vs. 15 mph) and has a sleek new down-tube mounted battery pack with 400 Wh of capacity. Completing the Haibike performance e-bike experience is Bosch’s “Intuvia” center-mounted display and user interface in easy reach of the left grip, allowing riders to choose between five settings (Eco, Tour, Sport, Turbo and Off). The display shows current, average and maximum speed; day trip & total distance; clock & timer, and remaining battery range displayed in miles, allowing the rider to easily choose the level of support to go the needed distance. eFlow performance e-bikes are characterized by their high-capacity Samsung lithium-ion battery pack integrated into the seat tube so it can be removed for easy charging, regenerative braking, clean internal cable routing, and quick release wheels with simple watertight motor connector, making wheel removal super easy. They use 500-watt hub motors, multi-speed derailleur drivetrains and are oriented toward urban commuting with four levels of pedal assist power or throttle override. The line up includes the original 2×10-speed RST front suspended E3 Nitro at $4,000, and new-for-2014 E3 Flight for $3,500 with a slightly down spec’d 1×10 drivetrain compared to the Nitro, and the E3 Fit, a versatile 350-watt compact folding bike also available at $3,500 MSRP. IZIP adds several new high-performance models to the line, including the E3 Peak and E3 Dash. 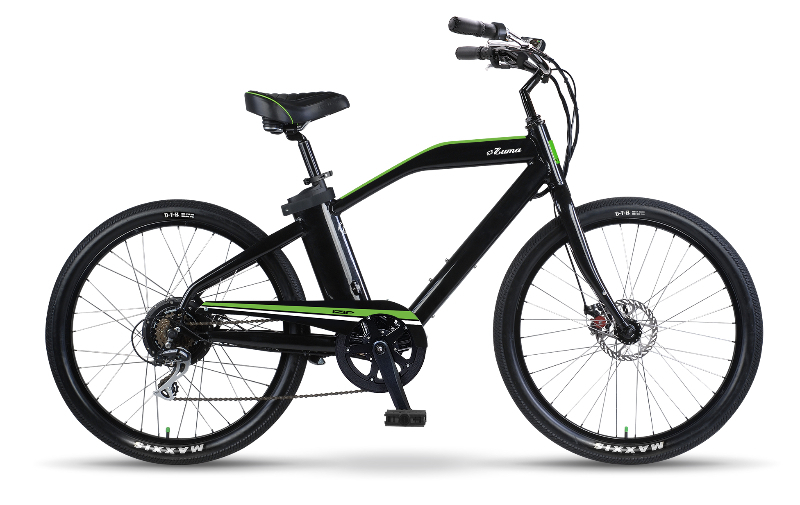 The Peak is a 27.5” wheeled hardtail with Currie’s all new Centerdrive™, a high-torque, 48-volt BB-mounted motor with throttle and torque sensing pedal-assist modes. The Dash is a street/urban bike with a 500-watt, 48-volt rear hub motor, which can propel the bike to 28 mph (45 km/h) in pedal assist mode and 20 mph (32 km/h) in throttle-only mode, and comes with cruise control. The IZIP product line includes seven models with an MSRP range of $1,500 to $3,000. Projected MSRPs are $3,000 and $2,600 for the Peak and Dash, respectively. If you would like more in depth info here is a link to the new 2014 Currie Tech catalog with a bunch of specs on these new electric bikes from Haibike, eFlow and IZIP. For more information on the new models, contact Currie Technologies at 888.377.7115 or [email protected]. Currie Technologies®, an Accell Group company, is renowned for their large selection of stylish, premium quality and technologically advanced electric bicycles marketed under the IZIP and eFlow brand names.The company is also the exclusive distributor of Germany’s Haibike electric bikes. Since 1997, Currie has been one of the oldest and most established U.S. developers and distributors of E-Bikes with a network of dealers nationwide, offering a selection of models to meet every riders need for cost-effective transportation alternatives, recreation, exercise and just plain fun. Currie Technologies of Southern California holds various patents on its products including their Electro- Drive™ Propulsion Systems, unique electric drive systems that provide superior performance and durability at a reasonable price. To learn more about Currie Technologies® product lines, please visit www.currietech.com. The Haibike brand was established in Germany 1995 by Winora Group president, Susanne Puello and her husband, Felix. However, its roots date back to 1914 when Susanne’s great, great grandfather, Engelbert Wiener, a racing cyclist, founded E. Wiener Retail Trading Company manufacturing of custom bicycles. An Accell group company, Winora is a complete family of brands, which includes Haibike, the company’s premier sport-performance road and mountain bike brand. 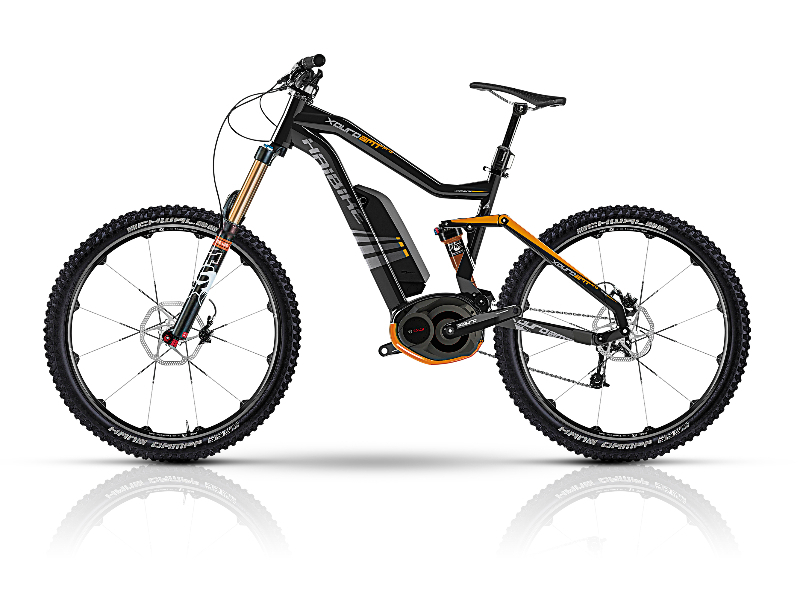 Haibike has worked continuously to build its name in the sports world by producing award-winning products through a high degree of innovation, advanced design and engineering. Haibike is a leading bicycle brand in Germany and throughout Europe with its involvement with their International Pro Cycling Team and Olympic champion and double gold medal winner, Sabine Spitz. 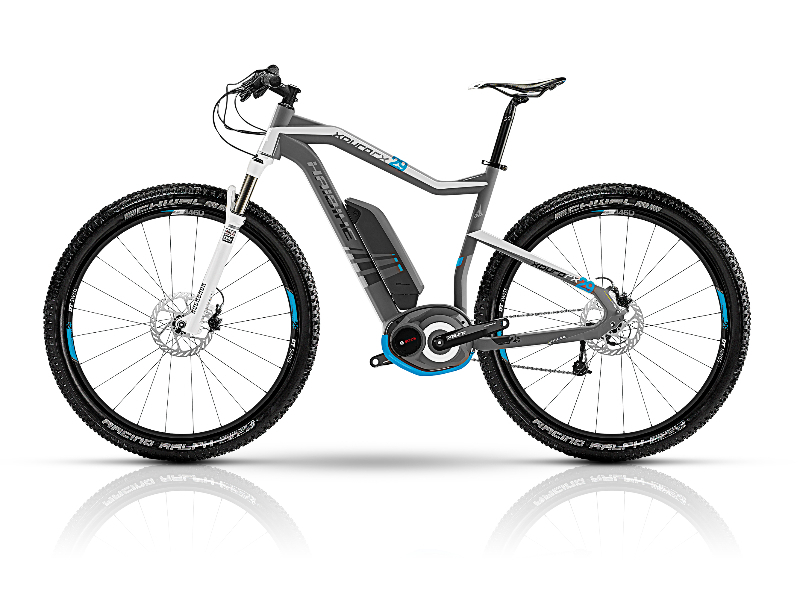 For more information about Haibike, visit www.haibike.de. All these bikes are wayy over priced.. 350 watt motors? really? I built a 1000 watt 48v 29er bike for $1400. It will beat out ALL of the bikes listed above. Building your own ebike is really the best way to go. Plus if my bike ever needs servicing I know how to fix it and dont have to rely on some company for support. Thanks for your comments. The new Bosch Performance System is not inexpensive, for sure, but I can attest that once you ride the system, there really is nothing quite as nice available on the market today. The lower wattage in by no means a downside because of range and efficiency enhancements and the torques of this system enables you to climb even the steepest mountain trails. Regarding the Haibike bicycle portion, the frame and component quality make the total price, actually a very good value. I’m sure once anyone actually rides a Haibike Xduro, you will come to the same conclusion. These look like very nice E-Bikes. I look forward to riding them at Interbike 2013. Bosch and Samsung provide high quality components. Thanks Don! Will I see you at Interbike next week? Larry I have used 350 watts and they are horrible on hills. Dont kid yourself. Im using 1000 watts and its a VAST difference !! Steve – Have you ridden the Bosch system? Even the Gen1, 250W version is incredibly powerful. This Gen2, Performance system is amazing and I think you should reserve judgement until you have a chance to actually ride one. I bet you will be pleasantly surprised. @Steve Parnell: I’m guessing that you have a 1000W hub motor because I’ve never heard of a 1000W mid-drive motor on the market for ebikes. That being said, when climbing a steep hill, the efficiency of a 250W mid-drive motor is way better than that of a hub motor. That’s because the mid-drive system takes advantage of the entire gear range of the rear cassette. This keeps the motor running at or near its sweet spot in terms of load, RPM, torque, and power drain. If I may add my two cents worth to Larry Pizzi comments above, I disagree with Larry’s comment that because of the “Haibike bicycle portion, the frame and component quality make the total price, actually a very good value”. There is no “good value” to the Haibike that Americans are ask to pay versus what the europeans pay for the same Haibike. Let me explain. Because of the present difference in exchange rate of U.S. Dollar versus the Euro, we Americans are required to pay 30 percent more for the same bike than what a european buyer pays. For example the bike I like most, the 2014 Haibike XDuro FS RX will sell for 3700 Euros in Europe. In America add in the exchange rate and we pay $4900 dollars for the same bike or $1200 more than the europeans. Then if you add in local sales tax rate that you will have to pay to your local Currie Tech dealer at time of purchase, which in my local area is 8 4/3 percent that is additional $430 dollars or total of $1630 more than what a european Haibike XDuro FS RS sell for. I find that beyond my price point, and “not a good value” compared to what my friends in Europe pay. Granted they too have to pay a so called “Value Added Tax” (VAT). In my opinion, not many Haibikes will be sold in the U.S.A. because the price is too high. 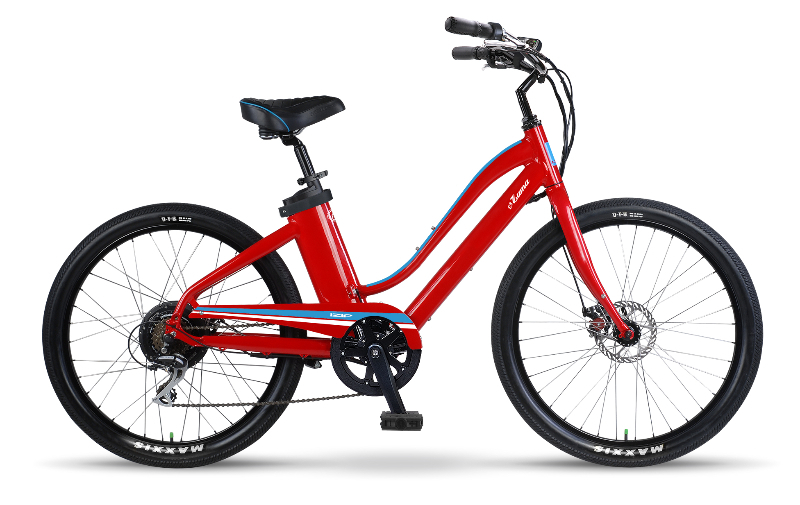 To sell more Haibikes in the U.S. then Haibike (and Currie Tech as distributor) will need to lower sales prices by accepting a lower profit margin, or reducing cost of production and passing that on to the consumer in the form of a price break. @Reebarco – Thanks for your comments on pricing. I guess we will need to see how the market responds but so far, dealers and consumers are indicating that the pricing is fair and competitive by placing significant pre-book orders. 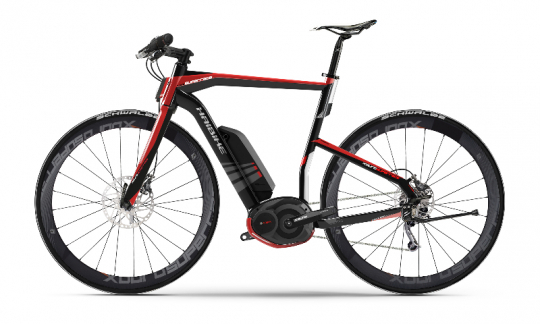 One point that I think you have wrong when you say; “For example the bike I like most, the 2014 Haibike XDuro FS RX will sell for 3700 Euros in Europe. In America add in the exchange rate and we pay $4900 dollars for the same bike or $1200 more than the europeans” Its NOT $1200 more, its actually less the $100 more when you consider the exchange rate from Euro to Dollars. Please keep in mind that these bikes are assembled in the EU so there are additional transportation costs, etc., which in effect account for the difference. Oh, and you are correct that sales tax would be incremental. As we move forward in to 2015 with Bosch and Haibike, we are considering assembling here in Simi Valley, California. In this way, perhaps we can shave a bit out of the cost for 2015.
Who can afford these bikes, certainly not the person who NEEDS basic transportation. 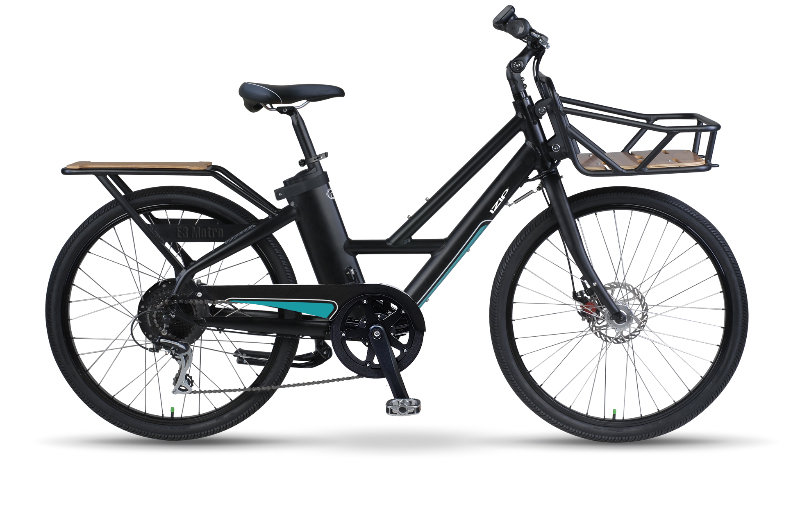 At http://www.ERV1.com we are working on e-bikes that will be affordable for the vast majority of people who in their wildest dreams could not afford a Haribike….or similar such “expensive” conveyances. Now if the Haribike had lights & signals and +50mph capability over rutted bumpy streets and was in effect a small motorcycle, that would make more sense for that price tag to me. The Haribike is a toy for the well to do who have money to spare. 98% of the population is NOT their target market. Thanks for voicing your opinion. Currie has been in the eBike space with economical personal transportation since the mid ’90’s. Fact is, the average selling price has been going up each and every year since 2005 and you would be amazed at what consumers are willing to pay for a top quality, high performance bicycle. 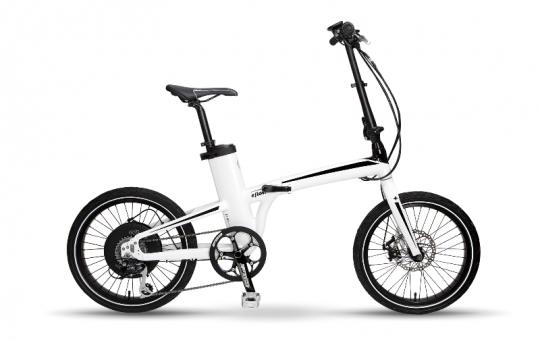 Haibike is a sport performance product, not a basic utility or transportation eBike. We have those in the IZIP range. Best of luck with the development of your products. They look pretty interesting. 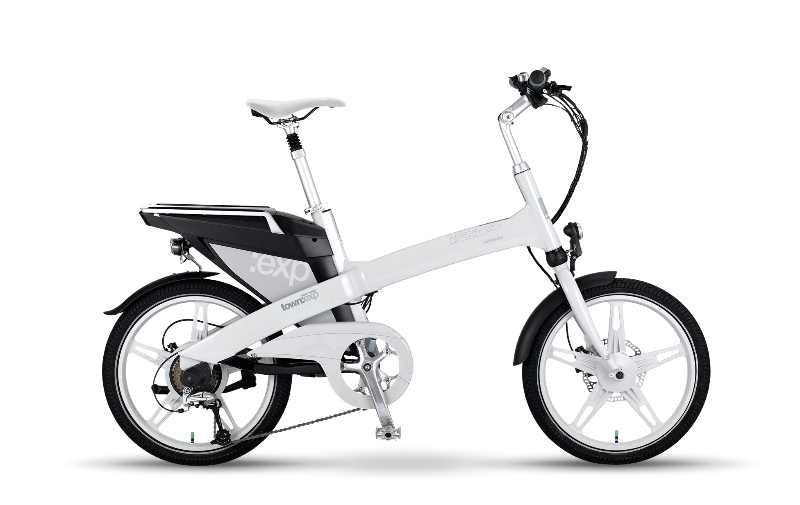 The price of these e bikes are sky high,hope but I believe the quality is the best.the Bosch and Samsung component is good quality,customers are price sensitive now. But even this,for a e-bike lover,it is worth to have a best quality and performance e-bike like this. Does Currie sell any other e-bikes that use the Bosch Gen 2 motor system? Thanks for your question. Currie is part of the Accell Group https://www.accell-group.com/uk/accell-group.asp and Haibike is one of the largest brands in Germany. In 2014, only companies that do business already in Europe are able to sell Bosch in the US. We decided to import Haibike Xduro because of this and also because they have the most complete and most innovative range of Bosch equipped bikes. 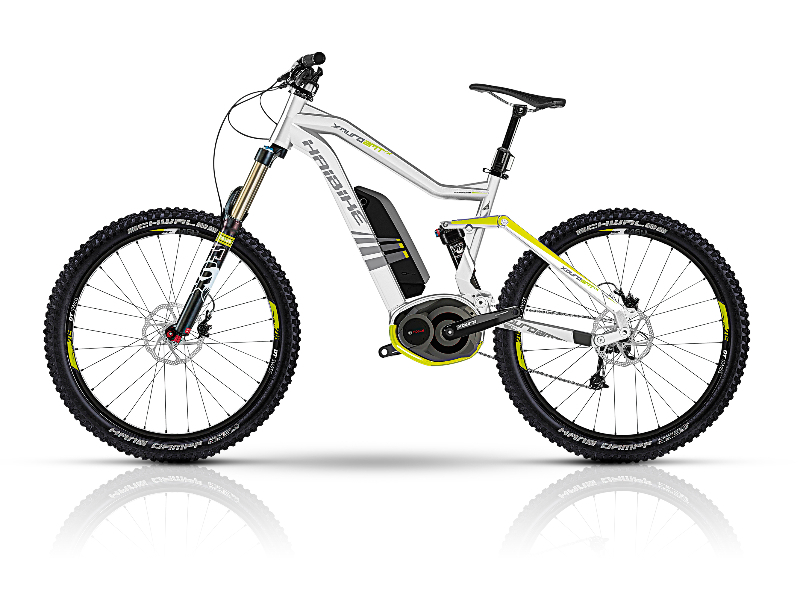 I think once you see them, you will conclude that they are the best range of sport oriented eBikes on the market. So when can we expect to start seeing these available for purchase in the US? The Haibikes with their mid-drive design look great. I’m looking to buy soon, so it’s a bit disappointing that it’ll be another 4-7 months before we see them in the USA. The BH Neo series is appealing as well since they ride very well as a normal bike, but have some good kick. Not like a mid-drive on a steep hill of course, but at least they’re available for purchase! 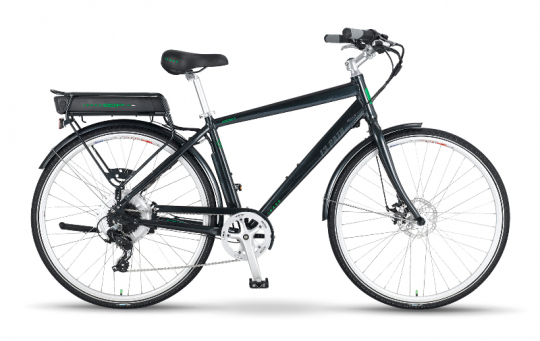 Thank you for your comment regarding the availability of the 2014 Haibikes. Yes, we are a little disappointed too but Bosch’s production of the US system happens on their schedule. Personally, I think it will be worth the wait, especially if your considering a full suspension model because of the issue of sprung weight and hub motors but even with a hard tail, the low center of gravity and centered weight, and of course the amazing improvement in torque makes center motor bikes so much better. 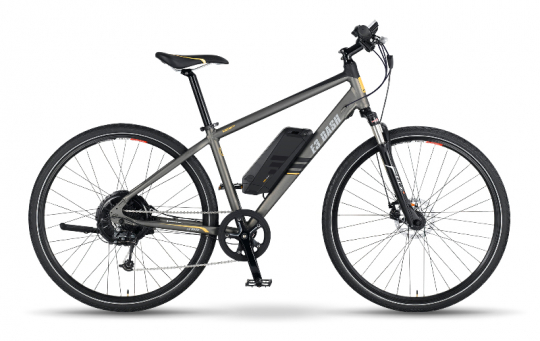 One bike that you might consider that will be available in early January is the IZIP E3 Peak using the TranX 350w center motor. People that test rode it at Interbike last week loved it and its also considerably less expensive. If your interested, send me an email and I’ll send you the detailed specifications. Love that you’ll be carrying the bikes, and plan on purchasing the superrace. Can we pre order though to get ASAP when arrives? 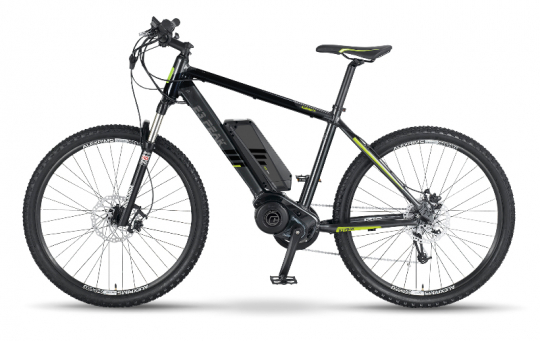 Also on a side note… Want to purchase ebikes for the whole family but of course not that much to spend on everyone. Wife, 2 kids ages 15 and 12. Any suggestions??? If you’re interested in a Superrace I would highly recommend pre-ordering as there will be limited quantities available of that model in particular. We will be carrying the full 2014 Haibike, eFlow and Currie line and I’m sure we can assist in finding bikes for you and your family. Feel free to reach out via phone or email. Thanks so much for your interest in Haibike. We are really excited about Haibike as well. They will begin to become available in Late April or early May and we are in the process of setting up dealers. By the end of the year, we will have a dealer locator at haibikeusa.com. Regarding a recommendation, I’d want to learn more about the how the bikes would be used. I’m traveling this week but back in the office next week. Please don’t hesitate to ring me or drop me an email at 805-915-4901 [email protected]. Nice writeup Pete! We are very excited for what Currie has going on next year and it was great to test these bikes out at Interbike and we can’t wait to get them in! It’s great to see the progression of the Electric Bike Market in the US.